Vision Rim - Mankind Bike Co. SOLID CONSTRUCTION MEETS GREAT SHAPE! We have now done our own new custom design for the Mankind Vision Rim is a 36H double wall rim with a 3 internal chamber design. It`s made out of 6061-T6 Alloy and has a welded joint. 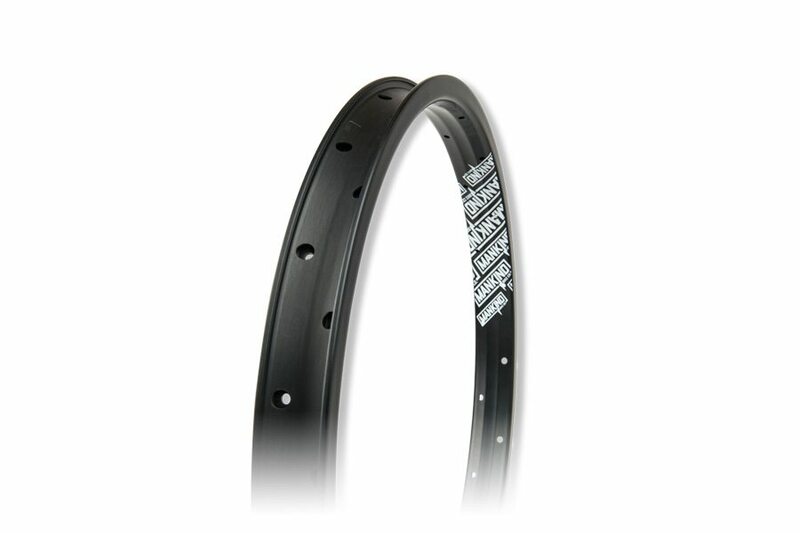 The rim has a 36.1mm outer width, 28.3mm inner width, is 18.7mm tall and has a 11.4mm brake side.